Featured for the first time on the site today is an artist who truly deserves to boast the title of being an artist; a true creative in every sense of the word. Hailing from Detroit, but currently hustling in Austin, Mike Melinoe is a ball of creativity waiting to burst. Not only is Mike an aspiring hip-hop artist, but he’s also a phenomenal painter, model, and all around go-getter. Hip Hop is a single avenue in Mike Melinoe’s complicated grid of creativity. Anything is a positive, uplifting track. Featuring production from fellow Austinite Netherfriends, the beat gives me some serious Pre-WZRD Cudi vibes. Mike addresses the beat with the utmost consciousness. 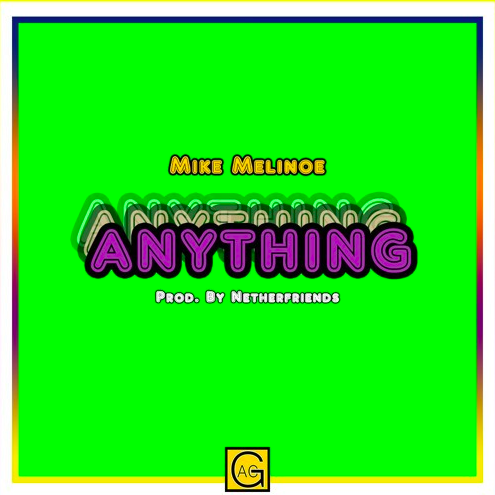 Energy and vibes go a long way, and with the positivity and spirit that Melinoe constantly oozes, it’s only a matter of time before Mr. Melinoe smiles his way into widespread success.